When you hear the name Karnataka, the picture that springs to mind is that of various beaches, getaways and hill stations. It is in fact a major tourism spot in the country, and people from all over the world come here to marvel at its beauty. One of the major attractions in Karnataka are its many rivers that add to the scenic beauty of the state. The state has its rivers as major attraction for nature and wildlife tourism in the country. The many rivers that flow through the various parts of the state not just provide stunning vistas to the travellers, but also a key understanding into agricultural activities, traditions and lives of people that are dependant on these generous rivers. Here is a guide to eight amazing lakes of Karnataka. Click Here to avail 15% Cashback on Domestic Flights. 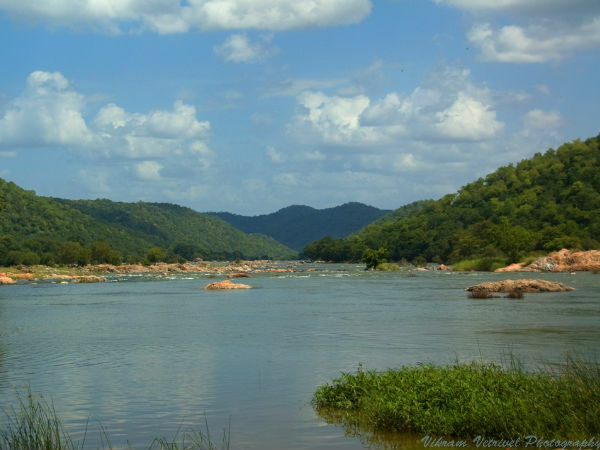 TheKaveri river that is also known as Cauvery is one of the largest rivers in South India. The origin of this river is traditionally placed in the Kodagu district of Karnataka that is flanked by the Western Ghats. The river flows from south to east; from Karnataka to Tamil Nadu across the southern Deccan plateau, before it flows into the Bay of Bengal. Travellers coming to Karnataka should visit this river and enjoy the cover of nature that it boasts of. One of the places to visit in Bhadravati is the Bhadra River that originates from Gangamoola near Kudremukh. The cool and comforting effect of the surrounding region is one to be experienced in person. Tourists come here to enjoy the serenity of this place, and it is also an ideal place to head for a picnic with your family. Kali River also known as Kalinadi, originates from a small village named Diggi in Dandeli district of Karnataka. Several dams have been constructed across Kali River for generating electricity. Adventure enthusiasts can enjoy going on a coracle ride in its waters, and bird lovers are sure to catch sight of various birds like weaver bird, egrets and pied kingfisher to name a few. Tourists can visit the river from the month of October to March as they will be able to enjoy white-water rafting in the river during the time. Travellers visiting Kabini must plan a trip to Kabini River that originates in theWayanad district of Kerala. This river is formed by the confluence of the Mananthavady River and the Panamaram River. Kabini river is also known as Kabani or Kapila, and is renowned for maintaining the ecosystem of the Kabini Forest Reserve. Tourists coming here can visit the Kabini Dam that was constructed across this river in 1974. It is situated in proximity of Beechanahalli village and is easily accessible from Heggadadevanakote. While on a trip toKabiniRiver, tourists are advised to explore the nearbyNagarholeNational Park, a favoured spot of the Asian elephants. Souparnika riveris one of the biggest rivers in Karnataka, and flows throughKundapurand Gangolli in westernIndia. It joins with theVarahi River,Kedaka River,Chakra River, andKubja Riverbefore finally merging into theArabian Sea. It is considered very auspicious to bath in this river, as it is a believed that a Garuda (eagle) called Suparna performed penance on the banks of the river and attained salvation, hence the name Souparnika. It is also believed that river absorbs the elements of 64 different medicinal plants and roots as it flows, therefore it cures all the diseases of those who bath in it. TheGurupura Riveralso known as Phalguni River or Kulur River, originates in the Western Ghats and empties into the Arabian Sea at Mangalore. It gets its name from the townGurupura that is situated near Mangalore. This river was once the northern boundary of Mangalore during the reign of kings. Today, it is a tourist spot where you can head to with your family for a picnic. Sangama river is formed by the confluence of the Arkavati and the Cauvery. It flows through a deep gorge, so narrow that you would think that you can leap across it! It is a perfect scenic spot to head to with your family for enjoying a fun day amongst the beauty of nature. The Tungabhadra River is formed by the confluence of theTunga river and theBhadra riverthat flow down the eastern slope of the Western Ghatsin the state of Karnataka. It originates inthe Chikmagalur district and then flows east, joining the Krishna along the border of Andhra PradeshandTelangana. The wedge of land that lies north of the Tungabhadra River, between the Tungabhadra and the Krishna, is popularly known as theRaichur Doab. It is a nature lover's paradise as it offers a scenic view of the place. Also, it is a hub for bird lovers as many migratory birds can be seen here throughout the year.